WILL IT WORK WHEN AN EMERGENCY STRIKES? 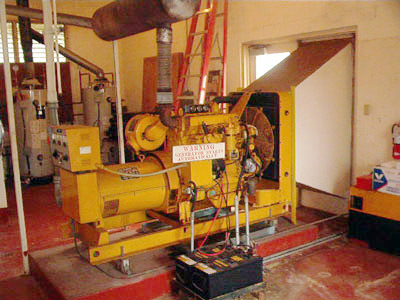 backup generator during an disaster. Your business needs power to continue to function during a power outage. Let C & A Generator Services keep your power generator in proper working order. Our customizable checklist contains exactly what you need to keep your power generating system functional and reliable. Don't wait till a failure to find out whats worn out.and needs to be replaced. Stay confident that when an emergency comes up, you'll be prepared. Custom maintenance plans are made for each customer depending on their needs and equipment. Ranging from a yearly inspection to a full monthly check up of mission-critical back up power, C & A Generator Services customized maintenance checklists will keep your equipment up and running when it counts the most.